Repositioning a well-known brand to recharge sales. Cutex is a great product. The formula works faster than any other nail polish remover on the market and features a patented, protein enriched formula that removes polish and conditions cuticles at the same time. 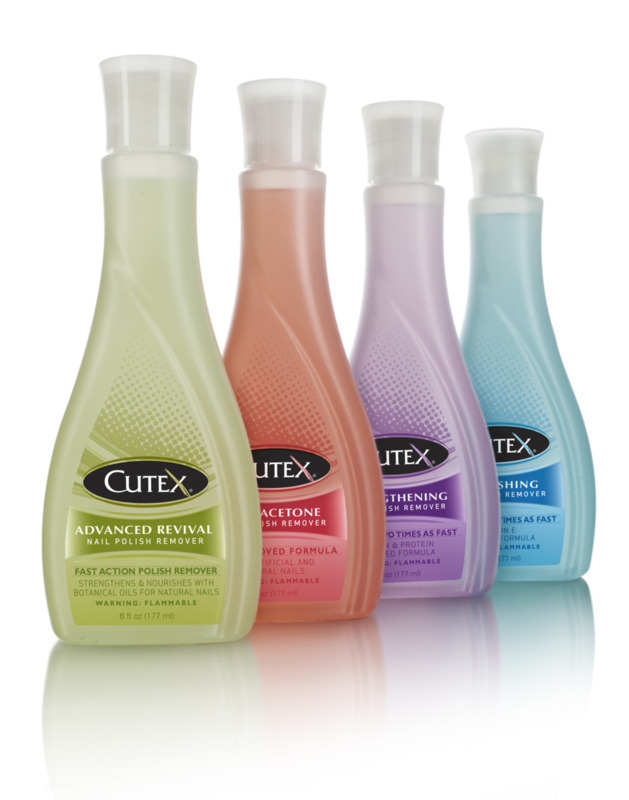 The Cutex brand is considered to be one of the top 100 most recognizable brands for at least 50% of the population. But a lack of marketing for many years allowed private label to capture about 60% of the market share. The retail shelf had become a sea of colored formulas and black caps. Consumers were so confused by the lookalikes that eight out of ten respondents in one Cutex Brands survey claimed they were buying Cutex products, even though sales numbers showed that was not possible. The new management team set out to rectify the problem and restore the brand to premium status. Shortly after an introduction to Berlin Packaging, Cutex met with the Studio One Eleven team. Studio One Eleven engaged Cutex in a brand building exercise designed to bring clarity to the brand's heritage, its personality, and to define its message going forward. In doing so, it became clear that Cutex's strength, its recognition across generations, was turning to a liability: younger consumers no longer identified with a brand they felt was outdated. The challenge would be to create a refreshed brand and package that would be a familiar evolution to keep loyal consumers on board while being contemporary enough to bring new consumers into the fold. The Studio supported this conclusion with a category analysis, interviews with cosmetic counter workers and polish remover consumers, and even web blog research. The Studio contemporized and accentuated the silhouette that made Cutex famous while adding a graceful inner sweep that defines the edge of the package's label. To make the bottle (literally) rise above the competition, we pinched the container's depth, increased its height, and replaced the stock straight-wall closure with a custom reverse-taper closure that harmonizes with the bottle's curvature. As a finale, we designed a new Cutex brandmark and a new communication architecture that clarifies the benefits of each product formulation, making the line much more shoppable. Cutex took advantage of the entire Berlin Packaging offering to bring this project to fruition. They leveraged Berlin Global Packaging Group to supply the custom reverse-tapered closure and tapped Berlin Financial Services to facilitate the purchase new equipment to maximize efficiency on their line and minimize the capital expenditure by Cutex. Cutex saw a 20% boost in sales since launching the new package with no additional marketing.